We report the first investigation of a deep subpermafrost microbial ecosystem, a terrestrial analog for the Martian subsurface. Our multidisciplinary team analyzed fracture water collected at 890 and 1,130 m depths beneath a 540-m-thick permafrost layer at the Lupin Au mine (Nunavut, Canada). 14C, 3H, and noble gas isotope analyses suggest that the Na–Ca–Cl, suboxic, fracture water represents a mixture of geologically ancient brine, ~25-kyr-old, meteoric water and a minor modern talik-water component. Microbial planktonic concentrations were ~103 cells mL−1. Analysis of the 16S rRNA gene from extracted DNA and enrichment cultures revealed 42 unique operational taxonomic units in 11 genera with Desulfosporosinus, Halothiobacillus, and Pseudomonas representing the most prominent phylotypes and failed to detect Archaea. The abundance of terminally branched and midchain-branched saturated fatty acids (5 to 15 mol%) was consistent with the abundance of Gram-positive bacteria in the clone libraries. Geochemical data, the ubiquinone (UQ) abundance (3 to 11 mol%), and the presence of both aerobic and anaerobic bacteria indicated that the environment was suboxic, not anoxic. Stable sulfur isotope analyses of the fracture water detected the presence of microbial sulfate reduction, and analyses of the vein-filling pyrite indicated that it was in isotopic equilibrium with the dissolved sulfide. 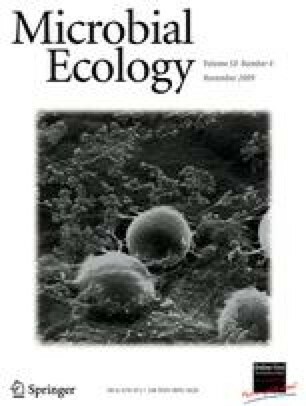 Free energy calculations revealed that sulfate reduction and sulfide oxidation via denitrification and not methanogenesis were the most thermodynamically viable consistent with the principal metabolisms inferred from the 16S rRNA community composition and with CH4 isotopic compositions. The sulfate-reducing bacteria most likely colonized the subsurface during the Pleistocene or earlier, whereas aerobic bacteria may have entered the fracture water networks either during deglaciation prior to permafrost formation 9,000 years ago or from the nearby talik through the hydrologic gradient created during mine dewatering. Although the absence of methanogens from this subsurface ecosystem is somewhat surprising, it may be attributable to an energy bottleneck that restricts their migration from surface permafrost deposits where they are frequently reported. These results have implications for the biological origin of CH4 on Mars. This work was supported by the NASA Astrobiology Institute through award NNA04CC03A to the IPTAI Team codirected by LMP and TCO, through award NCC21275 to Steve D’Hondt of the University of Rhode Island, and through award NCC21274 to Mike Thomashow of Michigan State University. Funding was also provided by the NASA Astrobiology Institute, NAS NRC (Postdoctoral Associateship 0385260) to C.B. We are indebted to Echo Bay Mines Ltd., Kinross Inc. and the staff of Lupin Au Mine for providing logistical support. The research was carried out in cooperation with a project group (Geological Survey of Finland, the University of Waterloo), which is studying groundwater chemistry under deep permafrost conditions and is funded by Posiva Oy, Finland, Svensk kärnbränslehantering (SKB), Sweden, and the Nuclear Waste Management Organization/Ontario Power Generation, Canada.